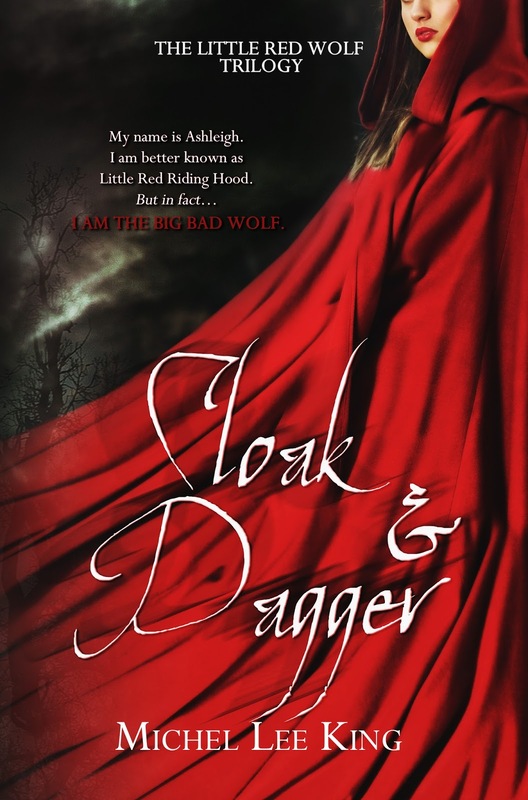 Author Michel Lee King: Cloak & Dagger Release Day! 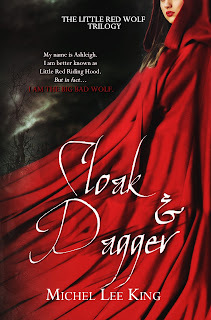 Cloak & Dagger Release Day! Hello and welcome to my revised website! I am going to be making a lot of changes around here, so if you come back and it looks a little different, I promise life will continue and everything will be okay. Today marks the release of my third published novel and the first in a trilogy! Woohoo!! Little Red Wolf is a trilogy about my take on the Little Red Riding Hood fable. Though we know this story to be a little darker than most the others from our childhood, I assure you my retelling is not for the faint of heart. Entering the raffle is easy, just leave a comment here on this post and share the Amazon link to my book on Facebook. You can earn extra points by visiting each stop in the week long tour to leave a comment, but it is not necessary in order to enter. Two lucky winners will receive signed copies of all three of my published novels! This raffle is open to everyone 18 and over. I will ship the books to any country, province, or island provided there is a valid mailing address (I really have no idea how to get a package to an uncharted island in the middle of nowhere, nor how much that would cost to ship, LOL). Check out the official rules and enter below. If you can't wait that long and need the book right now, Cloak & Dagger can be found on Amazon in either Kindle or Paperback formats. Stop by every day from now until next Friday to read snippets of the book, hear my thoughts on the process and the characters, and catch up on a few awesome details that never made it into the final draft. Also, at the end of the tour, I will post a little teaser for book 2: Smoke & Fang. I am so happy you stopped by! Remember to leave a comment asking me a question, giving your thoughts on the cover, or indicating what you are hoping to see me post in the next 7 days.